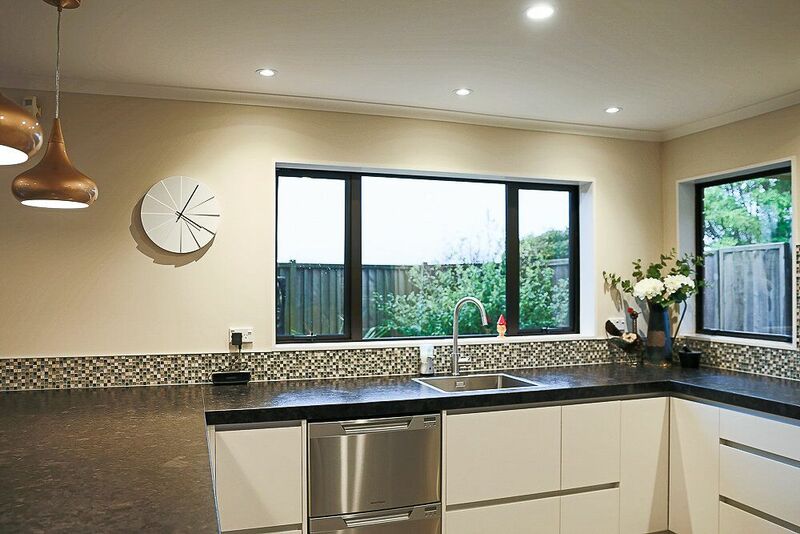 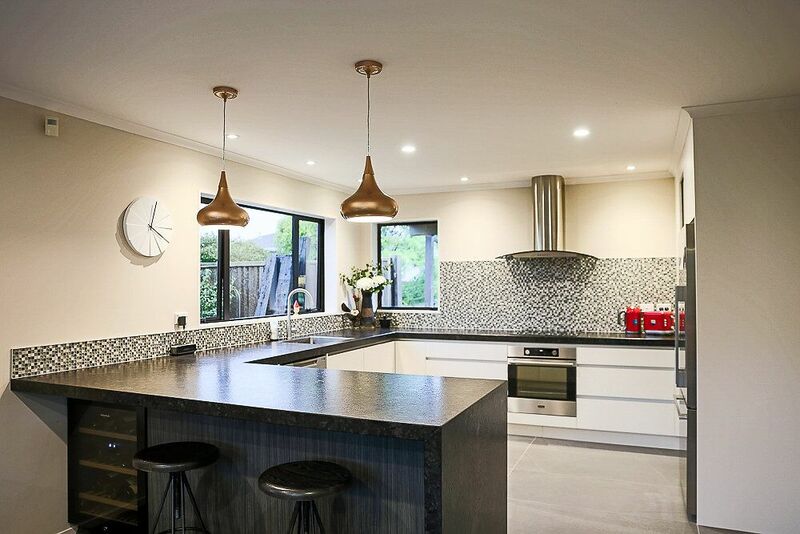 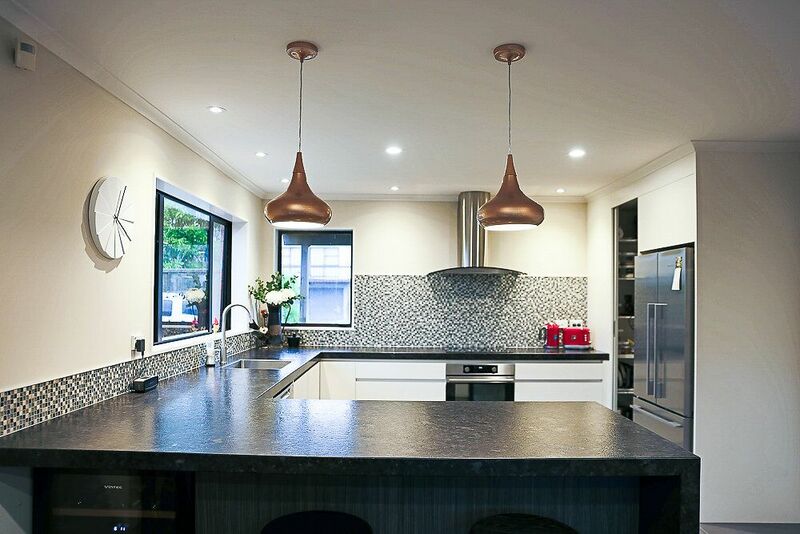 The focal point in this kitchen is the stunning 60mm Antique Brown granite top with mitred waterfall ends from Trethewey stone. 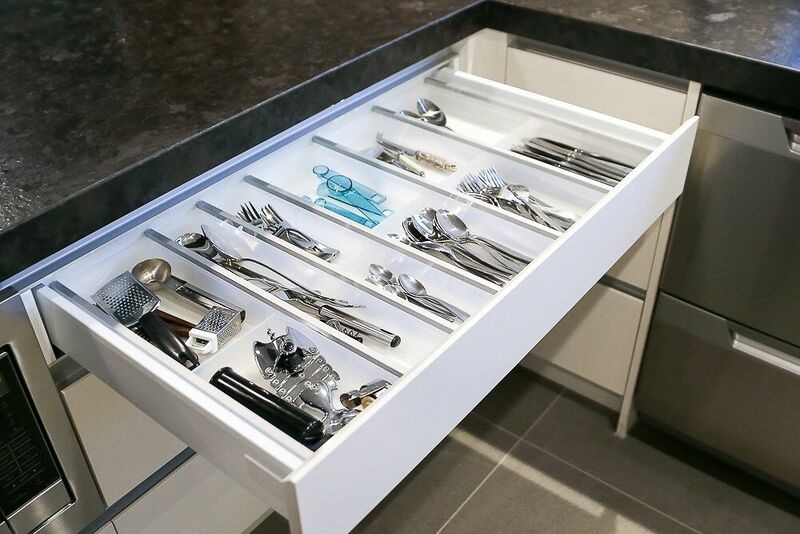 The handle free drawers and doors provide the seamless clean look. 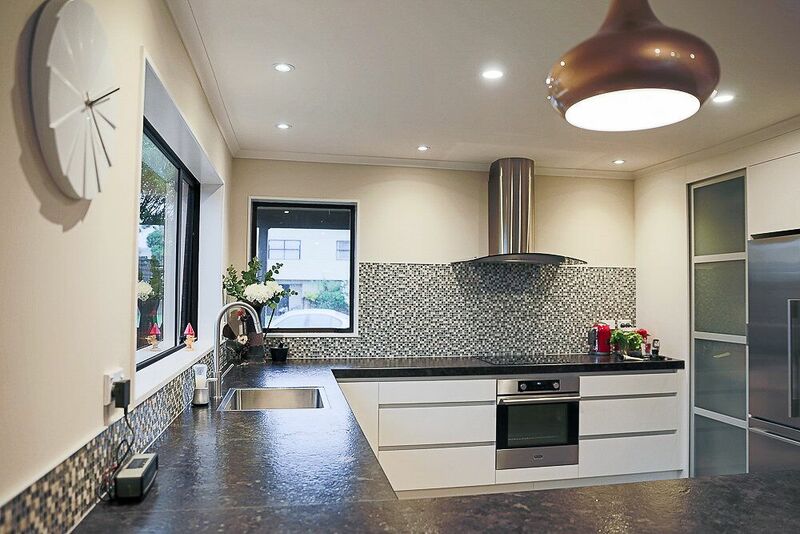 The mosaic tiled splashback, copper toned light fittings, and large floor tiles combine beautifully in this spacious family sized kitchen. 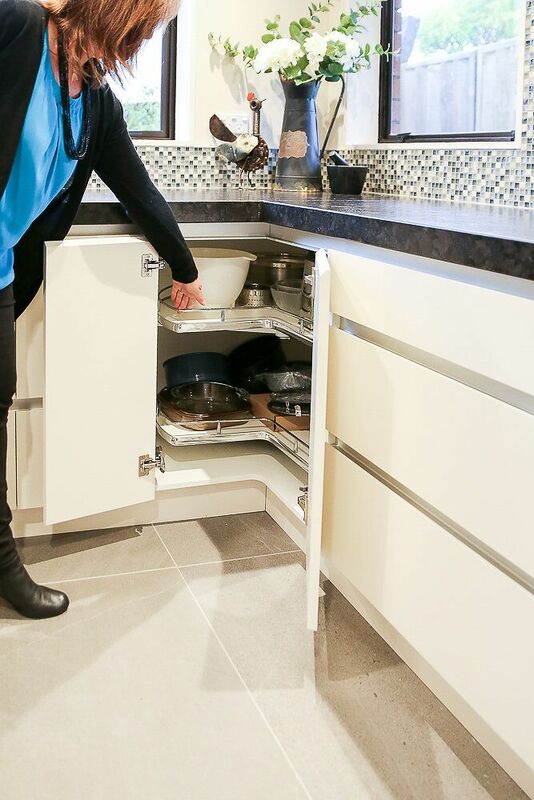 A stainless trim kit tidies up the microwave opening and adds to the overall smart design. 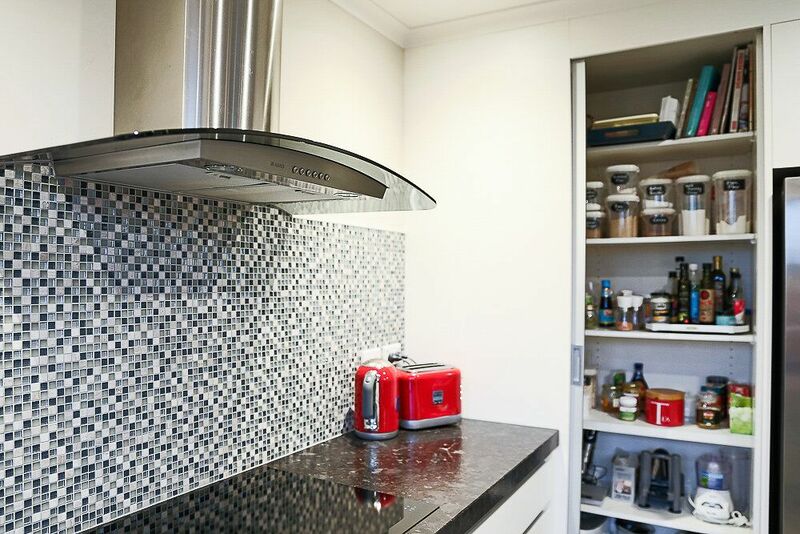 A very useful wine fridge hides neatly under the breakfast bar. 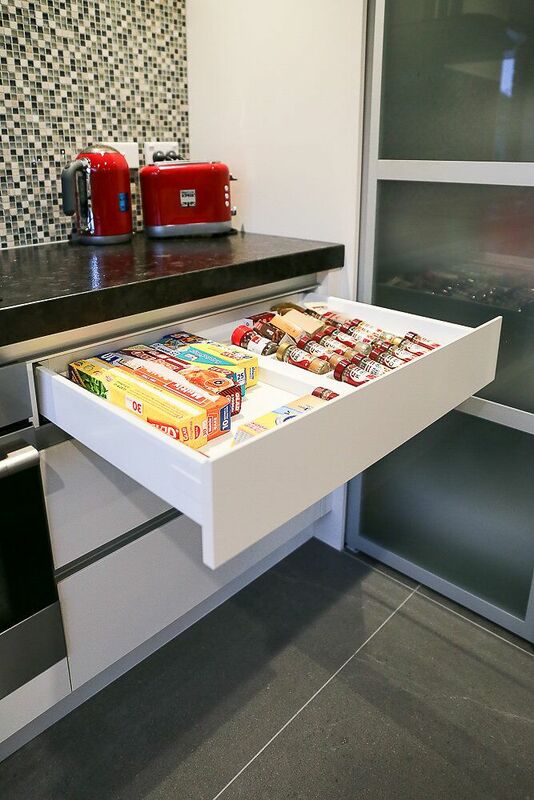 Plenty or extra storage solutions and accessories too!